Ridley Scott has signed up to produce and direct a new Blade Runner movie. 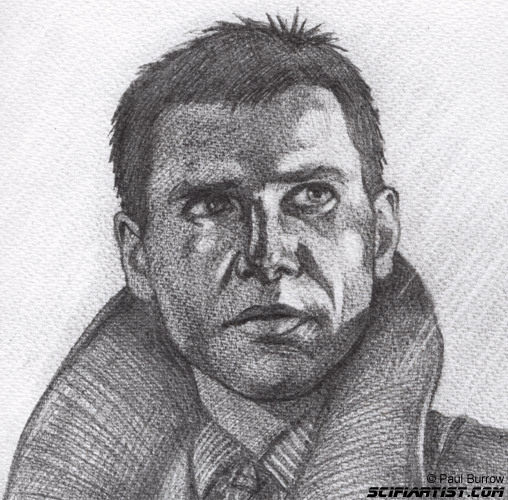 The news brought me to watch the original movie (Again), and draw a Deckard sketch which I will paint soon. This entry was posted in Sketchbook and tagged blade runner, harrison ford, Paul Burrow, rick deckard, scifiartist, sketch by Paul Burrow. Bookmark the permalink.